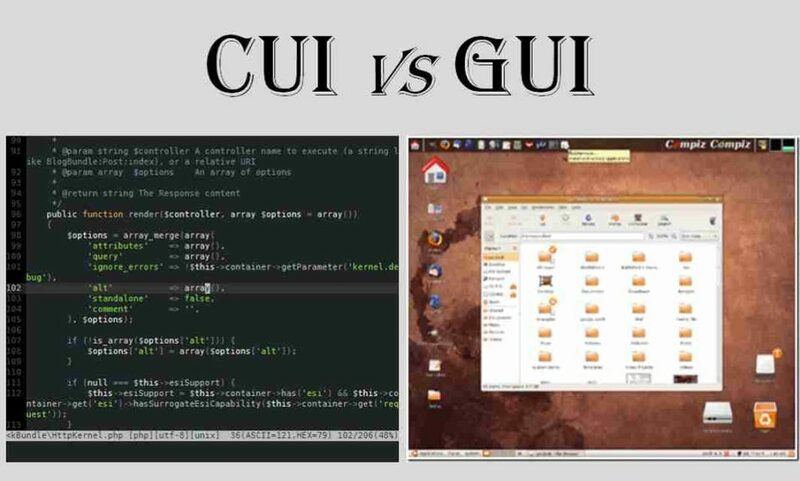 Distinguish, differentiate, compare and explain what is the difference between CUI and GUI. Comparison and Differences. 1. CUI is the Character User Interface while GUI is Graphical User Interface. 2. DOS is the characterized as CUI whereas Windows is characterized as GUI. 3. A CUI use characters on screen that control with keyboard. A GUI use pictures, symbols, word that control with mouse. 4. CUI can be confusing & difficult to remember. GUI is very friendly & easy to remember.